I don’t know about anyone else, but I wasn’t massively upset when Bordeaux Quay closed at the end of 2017. Sure, it was somewhere that broke up the monotony of the harbourside’s parade of chain bars, but to me, it didn’t offer anything unique and different that drew me in. But is its replacement any better? Billing itself as a Cuban tapas cocktail bar & restaurant, Revolucion de Cuba Bristol opened at the end of October, offering two floors of drinking and dining with “unbelievable Caribbean music, dreamy food, flavourful cocktails and the world’s finest rums”. It definitely looks the part. 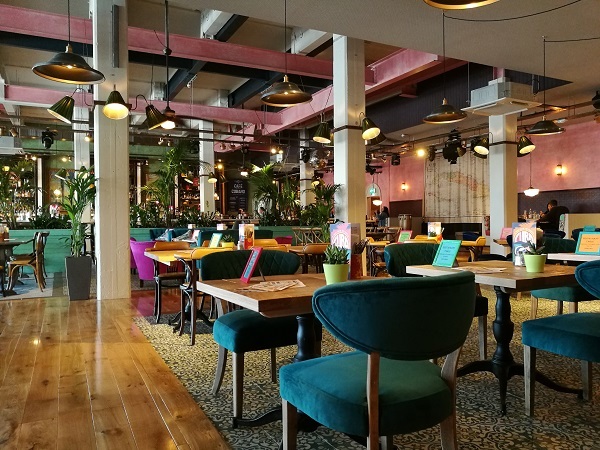 Downstairs, it’s a bright, open space festooned with palms separating the bar and dining areas, pictures of Cuban architecture and cars on the walls, and plenty of splashes of bold colour giving the place a fun and upbeat feel. And just in case you didn’t get the Cuban theme, the bill will be presented to you in a replica Montecristo cigar box. If it looks familiar, don’t be surprised – it’s owned by the same people as the Revolution chain, and the similarities are evident in everything from the design of the place to the format of the menus. Speaking of the menus, they’re designed to resemble newspapers, and offer plenty of choice – although to me, the list of dishes feels like a weird hybrid of cultures. Burritos, enchiladas and quesadillas sit alongside jerk chicken, patatas bravas and steak sandwiches – and a huge number of dishes that feature pulled pork. Where are the ropa vieja, the Cuban sandwiches, the tamales and the other dishes that characterise Cuban cuisine? The drinks menu isn’t much better. There are plenty of rums – categorised into various types from White & Light to Rare & Fine, and, as you’d expect from a brand that’s part of the same group as Revolution, there’s a big focus on cocktails too. While the cocktail prices are pretty standard (around the £8-£10 mark, or 2 for £10 during happy hour – 3-7pm Monday to Friday), there’s a pretty steep mark up on other drinks. You’re looking at £8.95 upwards for a G&T – and if you’re planning on celebrating with pink fizz, you’ll be forking out £33 for a bottle of Freixenet Rosé that costs just over a tenner in Tesco. Bold pricing – especially with the likes of V-Shed just a few short steps away. It was lunchtime, I had the baby with me and a ton of work to do in the afternoon on the day I visited Revolucion de Cuba Bristol, so sadly no cocktails for me – instead, I was swayed by the sound of the Lavender Lemonade (£3.95) which promised lemon, lime and mint topped with soda and a hint of lavender, which the menu claimed was “sweet and innocent with a lasting delicate touch”. 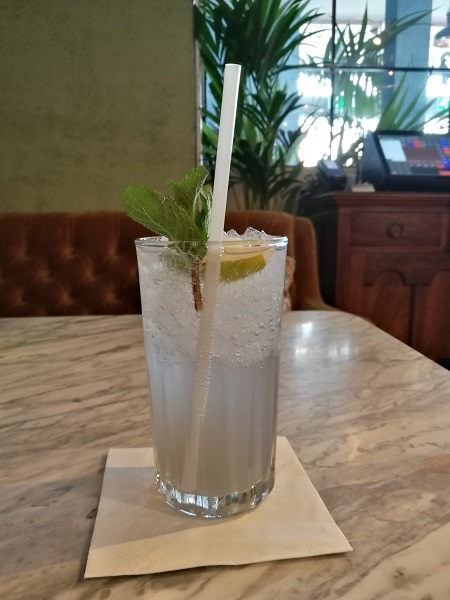 Delicate was right: in all honesty, there was just a hint of citrus and very little lavender, meaning I’d pretty much paid £3.95 for a glass of slightly flavoured soda water. 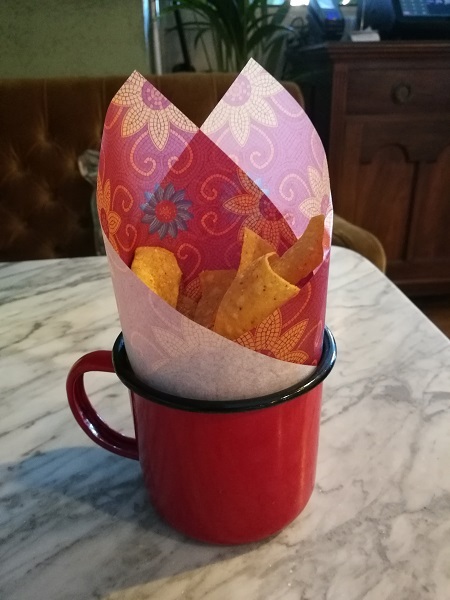 On the plus side, my drink was accompanied by a free cone of tortilla chips to munch on while I waited (to the disgust of the baby, who wanted to share and wouldn’t be fobbed off with his rice cakes) – which were delicious, with tons of flavour and lots of chilli. To be honest, though, it was all downhill from there. 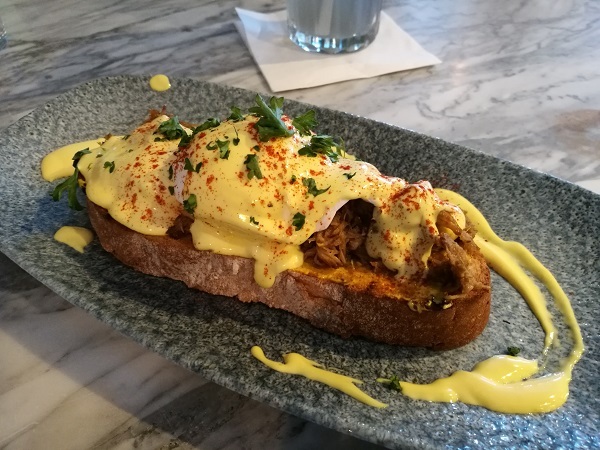 The Revolucion de Cuba Bristol Cubano Benedict (£6.50) sounded tasty: toasted sourdough topped with mustard, pulled pork, a poached egg, hollandaise and paprika in a take on the classic British brunch dish. It looked the part too. But sadly the flavour didn’t live up to expectations. The bread didn’t taste like sourdough, and seemed a little stale. The single egg was nicely poached with a runny yolk, and while the pulled pork was beautifully tender, it was far too sweet and far too citrusy. The biggest disappointment was the hollandaise, though, which tasted bought in and artificial – and there was no way of avoiding it, as it drenched the whole thing. Also, I don’t think I’m being greedy when I say that for £6.50, it would be nice to have two eggs instead of one…? It was a pretty small brunch dish, in all honesty, that I really don’t think was worth the money. I agree with your assessment of the food and my experience with the drinks is not dissimilar. However, it’s a ‘horses for courses’ kind of place and whilst I wouldn’t make it my primary target destination, I kinda like the atmosphere and the staff I met were nice too so I would probably give it another go on a casual basis and maybe with a fun group! It is an enormous improvement on poor old Bordeaux Quay (in its latter stages). I like seeing the space brought to life and they’ve made great use of that enormous square metreage. Not a fan of clearly bought in Hollandaise sauce so I’ll definitely give that a miss!